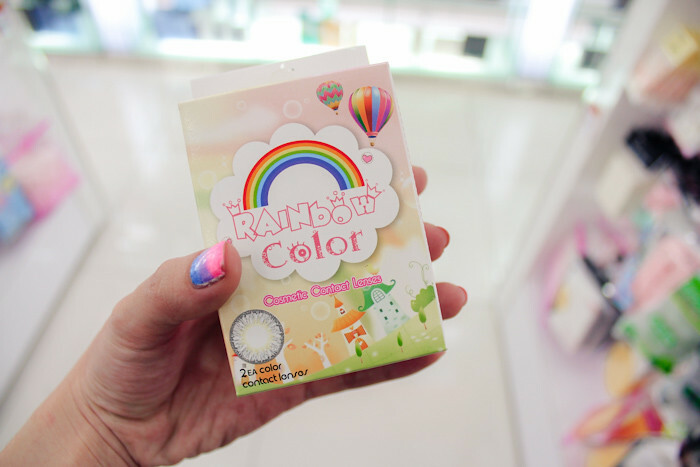 i’m back with Part 2 of my Genting Highlands trip, and you should read Part 1 HERE, if you haven’t read it yet! starting off the entry with a nice and big picture of myself mwahahahaha. located on the Lobby Floor, Maxims Genting! PS. The Bakery also has free Wi-Fi! awesome for those who don’t have 3G/data plan! love my colorful and happy looking outfit, i picked it specially for the theme park! romper for easy movement, and a cardigan just in case it’s cold on the rides. we were superrrr greedy and everything just looked SO GOOD!!! they had a really wide selection, from pastries, to cakes, to sandwiches, to doughnuts, and more! so we practically chose one of each hahaha :X a good breakfast starts the day right! SO MUCH FOOD CAN FEED ARMY LIAO. yayyyy! couldn’t wait to start tucking into breakfast already ^^ BUT BEFORE WE COULD EAT, everyone started whipping out camera(s) and taking pictures of all the food!! superstars of our breakfast. LOOK AT OUR TABLE. are you feeling hungry yet! posing with the tableful of food! XD four happy campers eager for breakfast! some very awesome croissant with cheese on top and seafood inside! MY FAVOURITE. a flaky almond croissant that was damn yummy!!! what a spread… we ate ourselves silly, and everything tasted so good! must must must go to The Bakery for breakfast if you’re at Genting Highlands! highly recommended! 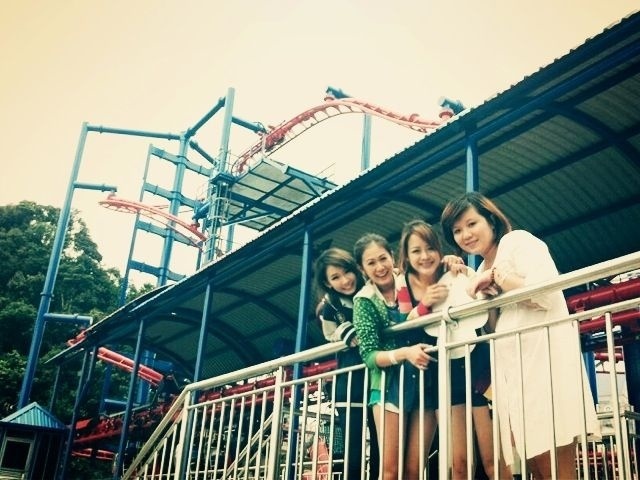 outside the Genting Outdoor Theme Park! everyone’s favourite ride, the colorful Spinner! wheee! 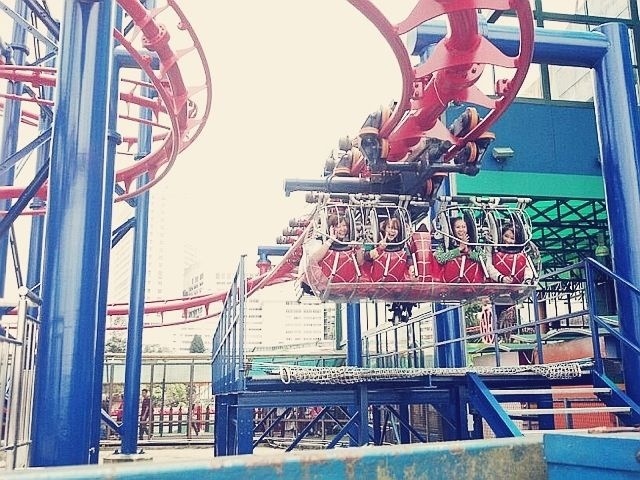 the first ride we went on 😀 it looks quite mild, but once you’re up on the air, it is really fun and thrilling!!! love the feeling of the wind blowing in my face, and the up and down motion of the spinner as it turns round and round! we didn’t go on the Merry Go Round, but camwhored in front of it 😛 it’s so pretty!!! didn’t take that many pictures inside the theme park, cos we kept our stuff in the lockers there while we went on rides! those big and pink seadragon plushies are sooooo cuteeee. little kids playing with their balloon sculptures! there are clowns throughout the theme park, amusing all the little kids with tricks and balloon animals! i personally find clowns quite freaky, anyway. YZ’s little nephew was almost scared to tears by the clowns when he went to Genting with us earlier this year haha! their speciality is SEA FOOD!!! couldn’t wait to order already… so famished after all the thrills and excitement! while waiting for food. HUNGRY FACE. and with Rachell!! love her camera man. damn good for camwhoring! mad yummy can??? as you can tell, we didn’t even take any pictures of us eating, cos once the food came, we were all so hungry we just started tucking in right away!!! we walked around First World Plaza abit.. but we didn’t shop much, the only thing i bought were contact lenses, they’re cheaper over there and there are some brands that aren’t available locally! we popped by Famous Amos to buy cookies too! they’re cheaper there and still as yummy! random shots while on the escalator! we went back to our hotel room to rest and let our food digest for abit, i was uploading photos straight into my iPad and playing with photo apps to edit them! this time round, i did a chocolate wrap, followed by the Balinese massage again! Our signature Chocolate Wrap is a treat for the senses, It features combination chocolate mask that nourishes the skin for a detoxifying and anti-cellulite effect. The long, firm and kneading strokes using the palm and lower hand pressure offers a deep and therapeutic massage. This technique originates from the island of Bali where it is done to relieve muscular strain, headaches and frayed nerves. Essential oils made from selected ingredients add to the healing effect. the chocolate wrap felt so luxurious! a warm chocolate mask that smells heavenly is gently smoothed onto your entire body by the therapist, and then you’re all wrapped up like a mummy while the mask works its magic! there’s an electric hot blanket on the mattress as well, and the entire process was so comfortable and soothing, i fell right asleep and probably started snoring too! :X what a treat! after that, i was asked to rinse off with a shower, followed by the Balinese massage, which was just as good as it felt the previous day. 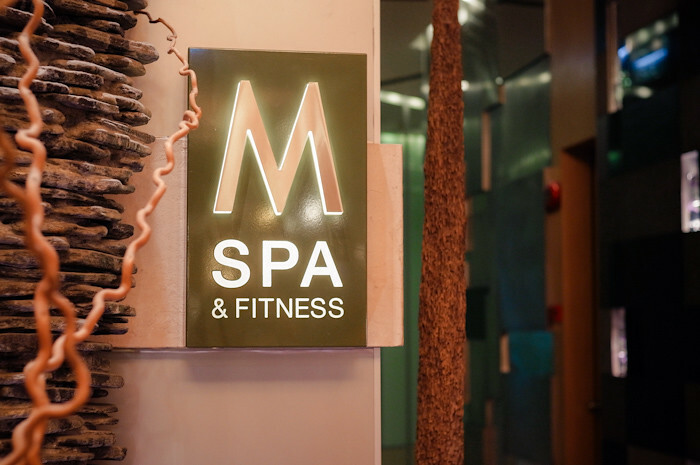 ahhh… can never get enough of massages and spas! two consecutive days of spa session, just too blissful for words! Sarah and i had a good soak in the jacuzzi afterwards, it felt so good! there’s a hot pool and a cold pool, when you dip into both pools one after the other, it feels extra shiok!!! i just wanted to stay in the pool forever! are you ready for a half naked photo HAHAHAHA ok just kidding we are all decent, can’t see anything! happy as ducks in water! after the pampering session, it was time for food, yes, again!!! such a satisfying trip, with soooo much food! was uber happy about it! and this restaurant is also HIGHLY HIGHLY recommended to dine at when you visit Genting Highlands… it’s a MUST! Imperial Rama, at Level 2, Highlands Hotel! by the way, remember to make reservations beforehand to ensure you get a table! 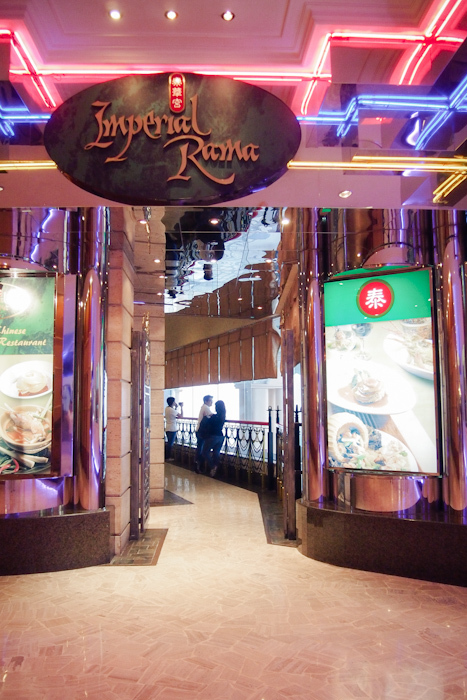 Imperial Rama serves Thai-Chinese cuisine in fine dining style, and we were REALLY blown away! from the amazing food and the great ambience, to the impeccable service! finally… our chance to eat 好料: 鲍鱼鱼翅!!! even our watermelon juice also look so good. we ordered two set courses to share, and a variety of other dishes! none of the dishes disappointed us at all, i swear every dish was fantastic! King Prawn done up in two ways: one is with cheese, and the other is with salted egg yolk! it was delicious!!! we ordered this butter milk chicken which was super yummy as well, with crispy bits that tasted like oatmeal! DENG DENG DENG. our stewed shark’s fin in shark bone soup! the soup stock was SO good! damn rich and tasty omg! highlight of the entire trip!!! GOT TO EAT ABALONE!!! the most delicious braised WHOLE abalone with dried seafood noodle! each of us ate half an abalone, bwahaha. and it tastes much better than canned abalone. it’s so juicy and tender!! damn good! group shot of us with the food! 😀 is happy de. by the way, you have got to give their special desserts a try too, cos they are really unique and extremely yummy! DURIAN TEMPURA. and i don’t even like durian! i don’t know how they do it: it’s deep fried durian puree in batter and the durian is super creamy and sweet and not smelly at all. i swear. best meal of the trip. you must eat at Imperial Rama! it’s a MUST. the last thing we did on Day 2 was to go to the KTV! 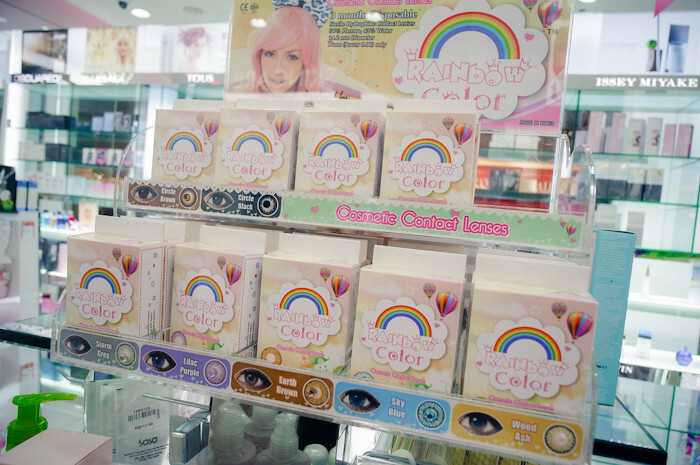 it’s located at First World Plaza, Level 2B, right upstairs the bowling alley! quite cheap too, but i forgot exactly how much. comes with two bottles of free mineral water!! haha. the system was ok lah, not very good, but still shiok enough to sing! but the rest of the girls didn’t sing much, except for Zoe and myself! Rachell fell asleep halfway somemore lor. HAHAHA. too tired after the full day’s activities! Rachell took this picture of me, looking very 投入 in my singing 😛 ok i know i look retarded. FINE. 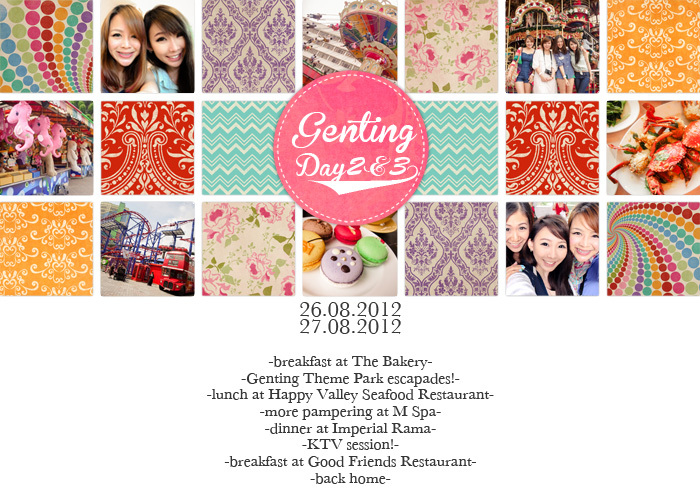 we went back to our hotel rooms to retire for the day so we could wake up early for our last morning in Genting! 🙁 the 3D2N really flew past in a whiz, and it was already the last day before we realised it. woke up and we spent some time packing our luggage, and then went down for dimsum breakfast at 好友记, Good Friends Restaurant, located at Level 2 Highlands Hotel! Zoe helping to serve tea for everybody! the first piping hot basket to arrive: Salted Egg Yolk Custard Buns!!!! waaaaaa i love the hot custard oozing out damn shiok! we ordered another two baskets of this cos it was so yummy! chee cheong fan, another of my favorite! mini egg tartlets, carrot cake, charsiew pastry! i was quite sad that the 3 days passed by so quickly, actually! i had alot of fun, all thanks to the three other girls, Zoe, Rachell and Sarah who were such great travel companions! i’m glad we had the chance to spend time together and get to know one another better on this trip! to Zoe, thank you my Team Heroine partner for taking care of all the logistics and being the “tour guide” of the trip! poor girl couldn’t even rest on the coach ride home because a couple in our group left their passports back at First World Hotel, and she had to take charge of the situation! thanks for being the most auntie of the lot, always fussing over us to HURRY UP and go heehee. to Rachell, the one who packed for a 3D2N trip as if she’s heading on a 1 month tour around Europe, thank you for providing us with masks every night, and also lugging around a huge bag of makeup everyday that we all borrowed from to touch up! it was great fun having you around, with your funny sharing of stories and experiences. am glad to get to know you better! thank you!!! thank you to Resorts World Genting and Nuffnang for making this trip happen too! there were so many things we didn’t manage to do in this short 3D2N, i’m sure the next time i’m back in Genting, i’ll be able to experience more things and also eat more good food too! bwahaha. it was truly an unforgettable trip! Previous Post Genting Highlands: Day 1! Next Post Guess Denim: Finding The Perfect Pair of Jeans!